Find Out The Value of Your Home! "Unclaimed Homes List FREE with Registration"
2141 W. Norvell Bryant Hwy. 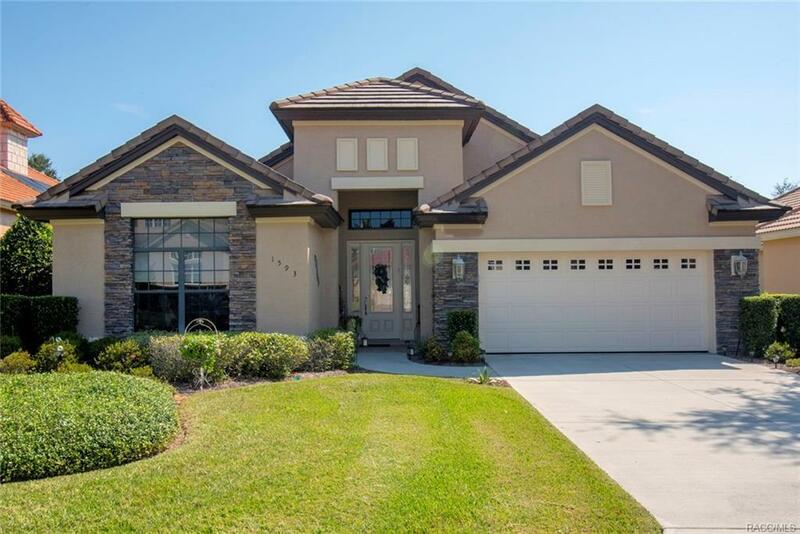 Previous Builder's model home located in the heart of Terra Vista! Your new 3 bedroom, study, 2.5 bath 2+ car garage home has a very desirable great room design with gourmet kitchen,spacious breakfast nook, dining room, large owners suite w/luxury bath, office/den and guest suites. Upgrades throughout include wood & tile flooring, crown molding, premiere appliances, lighting, ceiling fans, plus so much more. Expansive indoor & outdoor entertaining areas create the perfect setting for this home. Solar heated Pool w/ waterfall & pavered lanai is surrounded w/ luscious Landscaping on this private home site. Home has privileges to Citrus Hills Golf & Country Club. © 2019 Citrus County Board of Realtors. All rights reserved. Information deemed to be reliable but not guaranteed. The data relating to real estate for sale on this website comes from Citrus County Board of Realtors and the Broker Reciprocity Program.sm. Real estate listings held by brokerage firms other than Realty Connect are marked with the BR logo and detailed information about them includes the name of the listing brokers. All measurements and all calculations of area (i.e., Sq Ft and Acreage) are approximate. Listing broker has attempted to offer accurate data, but buyers are advised to confirm all items. Information last updated on 2019-04-23.